What: In 2014 and 2015, Washington State experienced record wildfires resulting in devastation at an unprecedented level. Homes, infrastructure, emotional security and lives were lost. Megafires are a serious and growing concern to our region. Forest ecologists are warning us that the worst is yet to come unless we take proactive steps now. This is an opportunity to be a part of the story and to follow fire fighters, renowned forest scientists and every day families as they face the crisis that we all should be talking about. 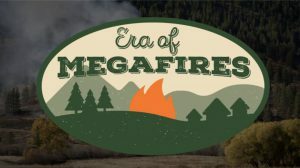 The Era of Megafires is a 60-minute, multi-media presentation presented by Dr. Paul Hessburg and North 40 Productions. Dr. Hessburg is a U.S. Forest Service Research Ecologist with the Pacific Northwest Research Station in Wenatchee, WA. For the last 32 years, Dr. Hessburg has been studying historical and modern era forests of the Western United States. The event will feature Dr. Hessburg’s presentation – a combination of topic-based talks and compelling video segments – followed by a discussion panel of stakeholders, possibly including Hilary Franz, Department of Natural Resources Commissioner of Public Lands. Please join us on Friday, October 6th! Visit www.north40productions.com/wildfire/ for more information. Sponsored by The Nature Conservancy, Kittitas Fire Adapted Communities Coalition, National Fire Learning Network, Tapash Sustainable Forest Collaborative, Washington Resource Conservation and Development Council, Washington Department of Natural Resources, and Base Camp Books and Bites. 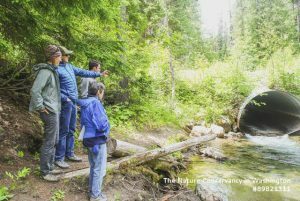 What: Field trip with those interested in the Little Naches watershed to look at various examples of road treatments and discuss roads, recreation, access, riparian and aquatic restoration, and other values and related issues important to stakeholders. Cost: Free, lunch will be included for those who are pre-registered. What: See meeting agenda here. 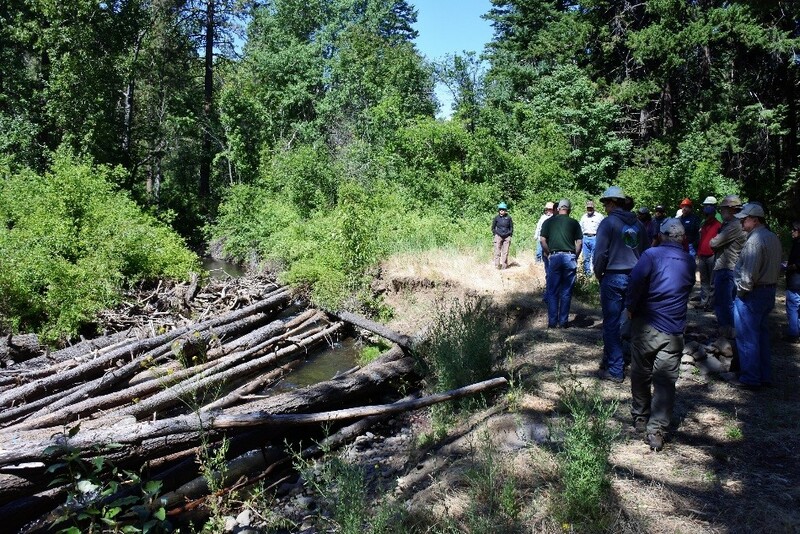 All stakeholders interested in ecological restoration in the central Cascades of Washington State were invited. The Tapash Sustainable Forest Collaborative landscape covers 2.3 million acres, extending from the Yakama Nation lands up to the Blewett Pass area. Over 80 participants joined us to learn what Tapash has been accomplishing lately, share ideas, and strengthen relationships. Click here for NOTES from the stakeholders meeting, including the PowerPoints from the presenters, and a summary of feedback from the stakeholders about the future direction of Tapash. When: Friday, October 28, 2016 at 6:30 p.m. 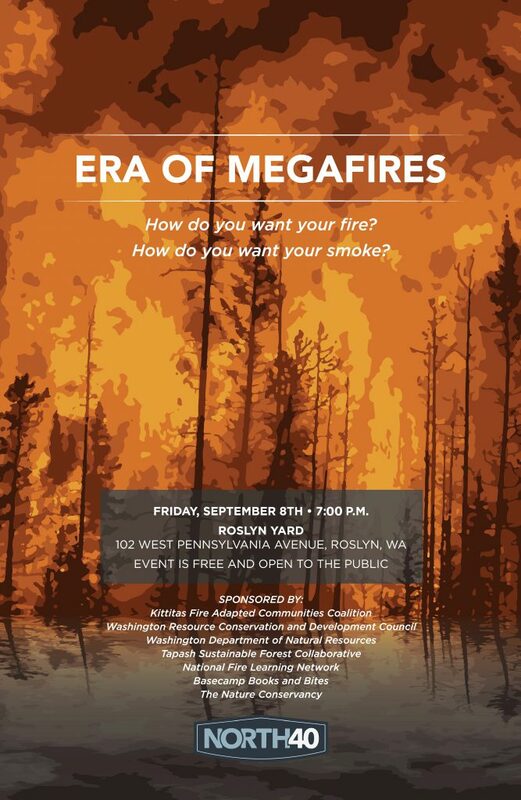 The Era of Megafires is a 70-minute, multi-media presentation presented by Dr. Paul Hessburg and North 40 Productions. Dr. Hessburg is a U.S. Forest Service Research Ecologist with the Pacific Northwest Research Station in Wenatchee, WA. For the last 32 years, Dr. Hessburg has been studying historical and modern era forests of the Western United States. The event will feature Dr. Hessburg’s presentation – a combination of topic-based talks and compelling video segments – along with a panel of local stakeholders. This event provides an opportunity to better understand how we as a society can live in a place that has and will continue to burn; how can we better prepare and co-exist in a fire-prone landscape? This is also an opportunity for participant engagement and dialogue. Please join us on Friday, October 28th! Sponsored by the Tapash Sustainable Forest Collaborative and the Washington Resource Conservation and Development Council with support from the Washington Department of Natural Resources. August 1, 2016. Tapash sponsored a gathering in Ellensburg to bring together land managers, scientists, and stakeholders concerned about Domestic Sheep Grazing / Bighorn Sheep Conservation. This is a free event discussing thinning as a restoration tool on federal and private lands. Information on assistance and other resources for private landowners will be available. This workshop is part of the Washington Statewide Wood Energy Team Project. Registration required – $75. Registration is now open for this Sustainable Northwest supported workshop. These events include educational workshops for forested landowners including information on how to organize a timber sale on your property, assess insect and disease problems, use various thinning regimes to promote wildlife and make money, as well as forest health training for natural resource professionals and more. At this meeting, The Nature Conservancy will update you on their work to assess the land and create a management plan. US House Subcommittee on Federal Lands. Tapash Executive Phil Rigdon (Deputy Director, Yakama Nation Department of Natural Resources) and collaborative partner Mitch Friedman (Executive Director, Conservation Northwest) testify to Congress with others about the impacts of catastrophic wildfire, collaborative efforts on National Forests, forest infrastructure, and anchor forests. June 2013 — On Thursday, U.S. Forest Service officials accepted sealed bids for a timber sale auction that will lead to timber harvests on about 500 acres of the Okanogan-Wenatchee National Forest. Dodge Logging Inc. was the apparent high bidder for the Glass Timber Sale, located on the Naches Ranger District about six miles east of Bumping Lake. The timber will be hauled to a sawmill in Pendleton, Oregon to be processed. The Glass Timber Sale is estimated to contain 4.1 million board feet of timber that includes Douglas-fir, western larch, grand fir and other coniferous trees. The total volume includes 1.2 million board feet of green biomass material. Removal of biomass will be at the purchaser’s discretion and dependent on market conditions, infrastructure availability and transportation costs. Timber value is determined in a manner similar to home appraisals. U.S. Forest Service personnel develop an advertised rate for the timber sale based upon similar sales sold the past 12 months on Eastern Washington national forests. The advertised rate contains adjustments for sale area conditions such as tree size, terrain, timber volume per acre, distance to nearest mill and logging systems to be used. Annual timber targets for the Okanogan-Wenatchee N.F. the past decade have ranged between 35 and 50 million board feet. The Glass Timber Sale is part of the Glass Angel Restoration Project area, which encompasses 11,395 acres west of Naches in the Nile Creek, Dry Creek and Rattlesnake Creek drainages. The project area is within the landscape defined under the auspices of the Tapash Sustainable Forest Collaborative (tapash.org). Signatories to the Tapash memorandum of understanding include The Nature Conservancy, Washington Department of Fish and Wildlife, Washington State Department of Natural Resources, Yakama Nation and U.S. Forest Service. The collaborative is now focused on the southern portion of the Okanogan-Wenatchee N.F. in Yakima and Kittitas Counties where it is working cooperatively to overcome checkerboard ownership constraints and advocating for significant increases in treated acres. It is also promoting forest product technologies such as biomass to achieve restoration objectives and diversify forest-dependent economies. A 15-member committee appointed by Secretary Vilsack selected the Tapash Collaborative for the funding because of innovative collaboration amongst land managers and the Okanogan-Wenatchee N.F. Restoration Strategy’s science-based approach to reducing severe fire risks through landscape-scale projects. The Okanogan-Wenatchee N.F. Restoration Strategy uses analyses that efficiently examine vast forest landscapes. It also helps managers prioritize finite land management resources, while comparing historic, current and future conditions in a warming climate. This streamlines project planning, helping managers to treat more acres faster. Okanogan-Wenatchee N.F. managers determined the Glass Timber Sale area should be a treatment priority through a combination of Restoration Strategy efforts that included field reconnaissance, aerial photo interpretation and the Ecosystem Management Decision Support tool, which uses GIS and Microsoft Windows technology for landscape-scale ecological analysis. Glass Angel Restoration Project treatments will move the landscape to a condition more resilient to climate change, severe fires, insect infestations, disease epidemics and hydrologic events that cause massive erosion. Planned treatments will include commercial timber harvests, non-commercial mechanical thinning, biomass utilization and controlled burns. June 2011 —This radio article by Public News Service discusses Tapash Collaborative Forest Landscape Restoration Program (CFLRP) funds allocated in 2011 for forest restoration. Preventing major wildfires and saving the state money are two aims of an effort in central Washington that involves about a dozen partners, from state and federal agencies to conservation and sportsmen’s groups and the Yakama Nation. The Tapash Sustainable Forest Collaborative also is trying to improve fish habitat and water quality on the eastern slopes of the Cascades. The collaborative is managing both federal and state public land to get 1.6 million acres in better condition, and Jodi Leingang, Collaborative Forest Landscape Restoration Program coordinator for the U.S. Forest Service, says the joint effort is working well. The Tapash Collaborative also is examining ownership of the land, and making decisions to ensure that more acres aren’t lost to development. The group is one of only a handful in the country on a ten-year federal forest-improvement program. This year, it has received more than $2 million for the work. Another goal is to revive the local timber industry to do the thinning and restoration work. With one sawmill left in the three-county area, Ken McNamee, Alpine District manager for the Washington Department of Natural Resources, says jobs have dwindled – but there is timber and bio-mass to be sold. When the 10-year project is completed, it’s estimated that fire suppression costs in this part of Washington will drop by three-fourths. Oct. 30, 2009 — The Nature Conservancy today applauded Sen. Murray, Sen. Cantwell, Rep. Dicks and Rep. Hastings for the leadership in securing $10 million in funding for the Collaborative Forest Landscape Restoration Program, a new Forest Service program that will enable sustainable solutions to the critical forest health problems facing our nation. The funding was approved as part of the Interior and Environment Appropriations Act for 2010 passed Thursday by the House and Senate. “I worked to secure this funding for the Collaborative Forest Landscape Restoration Program because I know that keeping our forests healthy is an important part of protecting our ecosystem and maintaining this precious natural resource for our families to enjoy,” said Senator Patty Murray. The restoration program was designed to increase the scale and scope of efforts to thin small trees, reduce fuels, and restore ecological conditions in federally managed forests. Previous land management practices have resulted in a build-up of vegetation that hinders tree growth and regeneration, leaves the forests vulnerable to diseases and pests, and at risk of catastrophic wildfires. Under the program, which was established by Congress in April, several landscapes will be selected by the Forest Service annually to receive forest health treatments. Sites will be selected based on demonstrated ecological need, sound science, the existence of multi-stakeholder collaborative planning, private investment and other key criteria that focus on identifying those landscapes of at least 50,000 acres with the greatest likelihood of success. 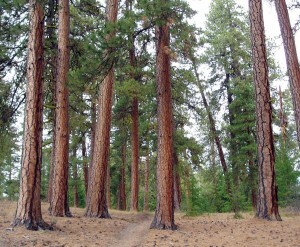 In Yakima and Kittitas counties in central Washington, the Conservancy has assembled the Tapash Sustainable Forests Collaborative, a partnership with the U.S. Forest Service, the state Department of Natural Resources, the state Department of Fish and Wildlife, and the Yakama Nation to develop a shared strategy for managing about 2 million acres of forest for longterm forest health. This is one of several restoration-focused partnerships across the country that will be eligible to receive this funding. October 25, 2007 — The Yakama Nation is joining an innovative partnership focused on restoring the health, natural structure, and productivity of forests and shrub-steppe in south central Washington. The Tapash Sustainable Forests Collaborative was established in May 2006 by The Nature Conservancy, US Forest Service, and Washington’s Department of Fish and Wildlife (WDFW) and Department of Natural Resources. The purpose was to encourage greater cooperation and coordination among these major landowners on issues ranging from forest health to recreation. Lavina Washines, the chairwoman of the Yakama Nation Tribal Council, signed the partnership’s Memorandum of Understanding earlier this week at the nation’s headquarters in Toppenish. Representatives of the other agencies signed the memorandum today at the Society of American Foresters conference being held in Portland. The collaborative provides a way for its members to plan and work together. With the Yakama Nation’s involvement, the group will be focusing on forest management across about 2 million acres in Kittitas and Yakima counties. One early project for the collaborative is planning for prescribed fires across ownership boundaries. Prescribed fires are an important tool for creating healthy forests, and can help to avert catastrophic forest fires by clearing out underbrush that will fuel major fires. Plans are underway for the collaborative to undertake its first prescribed fire in the spring of 2008. “It’s exciting to see the emergence of a collaborative way to resolve critical natural resource issues,” said David Weekes, the executive director of The Nature Conservancy’s Washington Chapter. •Natural plant community restoration and control of invasive weeds. •Science-based management tools, including use of prescribed fire to restore forest health. •Management of recreation use and access. •Recovery of animals listed as threatened or endangered under the Endangered Species Act. •Knowledge of affected lands and resources. The knowledge gained through this collaborative process will be shared to promote dry-site forest and shrub-steppe restoration in other parts of eastern Washington and the eastern Cascades. Naches, Washington—May 17, 2006—Restoring the health, natural structure, and productivity of forests and shrub-steppe in the dramatic Tieton River Canyon of south central Washington has been made easier, thanks to an agreement signed today by The Nature Conservancy, the USDA Forest Service, and the Washington State Departments of Fish and Wildlife (WDFW) and Natural Resources (DNR). The agreement—signed at the headquarters of WDFW’s Oak Creek Wildlife Area on US 12—creates the Tieton Forest Collaborative, a coalition that will encourage greater cooperation and coordination on issues ranging from forest health to recreation. The four signatories are major landowners/managers in the Tieton Canyon, a biologically rich area 20 miles west of Yakima with a checkerboard ownership pattern. The scale of the Tieton Forest Collaborative is unprecedented in Eastern Washington, covering an area of nearly 200,000 publicly owned acres, one-fifth of which is of immediate focus. The collaborative provides a way for its members to concentrate on their individual missions while planning and working across ownership boundaries on a number of mutual goals. The collaborative is made particularly significant because of the unique ecology of Eastside forests and the number of imperiled animals found in the Tieton, a place of considerable diversity due to its location between the Columbia Basin shrub-steppe and the forested eastern front of the Cascades. In 2003, the Nature Conservancy began raising public and private funds for the purchase of more than 10,000 acres within the Tieton Canyon from Plum Creek Timber Co. and transferring most of those lands to WDFW—real estate transactions that are now nearly completed. That effort means large swaths of the Tieton Canyon are, for the first time, almost entirely in public or conservation ownership. Natural plant community restoration and control of invasive weeds. Science-based management tools, including use of prescribed fire to restore forest health. Management of recreation use and access. Recovery of animals listed as threatened or endangered under the Endangered Species Act. Knowledge of affected lands and resources. The Nature Conservancy is a private, non-profit organization working to preserve the plants animals and natural communities that represent the diversity of life on Earth. The Conservancy, which played a major role in bringing the parties together, is retaining ownership of 640 acres within the core planning area. The USDA Forest Service has major responsibility for protecting and managing biodiversity, fish, wildlife, and plant habitats, including providing special protection for threatened, endangered and sensitive/rare plant and animal species. The Forest Service manages the Wenatchee National Forest, including the Naches Ranger District in the collaborative’s core planning area. The Washington Department of Fish and Wildlife protects, restores and enhances diverse and healthy fish and wildlife habitats, while providing sustainable fish and wildlife-related recreational and commercial opportunities. It manages the Oak Creek Wildlife Area in the core planning area. The Washington Department of Natural Resources manages state trust lands in the core planning area under a habitat conservation plan that guides management decisions to protect at-risk animals and fish and their habitat, while harvesting timber and carrying out other activities that earn funding for state schools and universities. YAKIMA – The Nature Conservancy’s three-year fundraising campaign to conserve 10,400 acres of ecologically rich lands along the beautiful Tieton River is complete, thanks to the latest grant announced today by the U.S. Fish and Wildlife Service. The Service’s announcement of a $2.4 million grant from the Cooperative Endangered Species Conservation Fund comes on the heels of a $2.8 million grant made by the state Legislature earlier this year. The two grants complete an ambitious campaign—spearheaded by the Conservancy, the state Department of Fish and Wildlife, the Rocky Mountain Elk Foundation, and other partners—to secure funding for acquisition of the lands from Plum Creek Timber Co. The Conservancy began the campaign early in 2003. All told, more than $8 million has been raised to conserve lands along the Tieton, which flows into the Naches River about 20 miles west of Yakima. 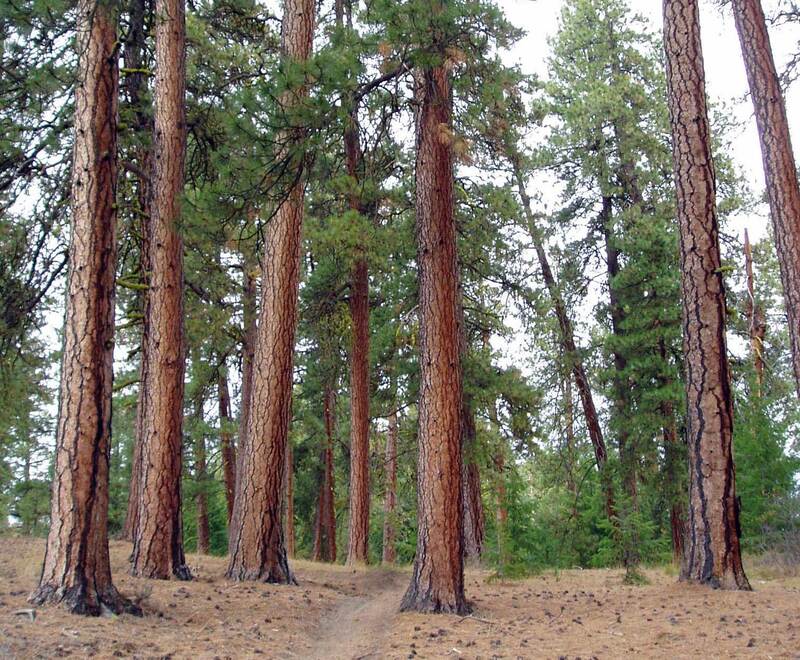 Before the Conservancy stepped in, the lands—including some significant stands of mature ponderosa pine—were slated for logging and possible second-home development. The conservation project safeguards nearly eight miles of the Tieton River and all of the adjacent uplands, a place of considerable diversity because of its location between the Columbia Basin shrub-steppe and the forested eastern front of the Cascade Mountains. The project area supports mature ponderosa pine forests, oak woodlands, intact shrub-steppe, riparian floodplains, and dense streamside stands of willow, dogwood, and cottonwood. At least four federally listed and 15 state-listed species are found there, including spotted and flammulated owls, nesting golden eagles, bighorn sheep, and steelhead and bull trout. The project is entirely within the boundary of the Wenatchee National Forest and adjacent to the state-owned Oak Creek Wildlife Area. Because of the checkerboard ownership pattern in this part of the state, the project’s completion means that more than 20,000 acres—nearly an entire township—of now fragmented lands will be knit into a contiguous landscape of protected habitat. Today’s grant is the second from the U.S. Fish and Wildlife Service’s Cooperative Endangered Species Conservation Fund. The Conservancy has also received two grants from the Washington Wildlife and Recreation Program, or WWRP, appropriated by the Legislature during the last two budget sessions. Betsy Bloomfield, the Conservancy’s South Central Washington program manager, praised the many partners who made a difference in the campaign, particularly the Yakima County commissioners and Sen. Patty Murray. “Their support was crucial,” she said. All of the land, except one section totaling 630 acres that the Conservancy will retain, will be transferred to the state for inclusion in the Oak Creek Wildlife Area. The Conservancy will recover its direct costs but make no net profit in that transaction. The land the Conservancy retains will remain open to public use. It also will become a site for science-based restoration, a learning laboratory that will enable restoration practitioners throughout the region better understand how to steward and restore dry, East Side forests. Private and public fundraising for this restoration work is already underway and will continue for several years, Bloomfield said. The Snag Canyon fire burned across 12,600 acres north of Ellensburg in August 2014 during Washington’s worst fire season on record. For comparison, the Carlton Complex fire burned over 246,000 acres of private, state, and federal land. The Snag Canyon burn area included previously treated forest stands with 30-40 large trees per acre, as well as dense untreated stands with 300-400 trees per acre; post fire, the former still has the large trees standing while the latter experienced stand replacing fire. The Snag Canyon fire was able to be held in part thanks to previous forest restoration treatments done involving thinning and prescribed burning by the USFS in 2005 on about 200 acres. The DNR contract harvest covered 1,019 acres and was offered as eight sorts involving 8,049 MBF of timber.